Sacramento Multiple Injury Accident. 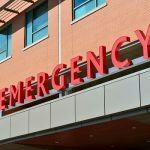 A Sacramento multiple injury accident that involved a pickup truck and two sedans happened on October 18 along State Route 99 that sent four people to a hospital. A caller reported to the California Highway Patrol (CHP) that drivers were passing the accident scene by driving on the shoulder of the road as well as the center divide. They expressed concern that it might lead to another traffic collision. The three-vehicle collision occurred shortly before 2:00 in the afternoon in the northbound lanes of SR99 just south of the Twin Cities Road on-ramp. It involved a Ford F-150 pickup, a Saturn and a Honda Accord. Half an hour following the collision, it was reported that all lanes were still blocked. One lane had been reopened at around 2:30 p.m. Four parties were reported as having been transported to Kaiser Permanente South Sacramento on Bruceville Road for treatment. It is unknown at this time what injuries were suffered in the collision. 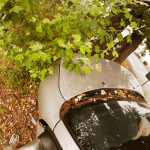 Negligence: Looking for signs of negligence in other drivers is the primary focus. In 95 percent of cases in a Sacramento multiple injury accident, one or more drivers were speeding, tailgating, drunk driving or committing some other infraction. The accident may also have been caused by an aggressive driver or by someone who was talking or texting on a cell phone, which contributed to the crash. Road evidence: Poor maintenance and road design can contribute to a Sacramento multiple-injury accident. Government entities such as the state or county government have the responsibility to design and maintain roads. When an accident is due to a road defect, the injured parties can claim fair compensation. 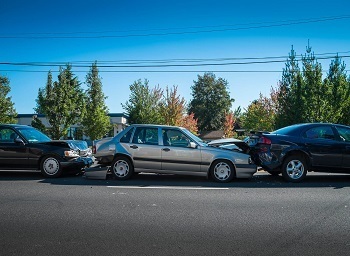 Damage caused by vehicles in the collision: It is often possible to determine how a collision occurred and in what order the vehicles crashed by examining the evidence at the scene. For example, tire marks on the roadway can indicate that the vehicle tried to stop. The absence of tire marks can indicate that the driver never applied the brakes to avoid a collision. Damage to vehicles: The location of damage on the vehicles and smears of paint from another car can help determine what caused a multiple-injury accident. California is a comparative negligence state, which means that fault can be assigned to any driver in a collision who was negligent. For example, a driver who was speeding and crashed into another car would be considered 100 percent at fault, if the other motorist committed no infractions. If the car in front was pushed into another vehicle, the driver to the rear would be liable for both. This means both the first and second drivers hit by the driver to the rear would be able to collect 100 percent of the damages awarded for their injuries. I’m Ed Smith, a Sacramento car accident lawyer. 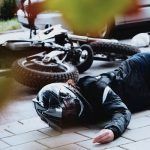 Being injured in a traffic accident disrupts a person’s life while recovering from injuries in addition to facing mounting bills caused by the collision. If you or someone you care about was injured because of a negligent driver, you might be eligible to recover compensation to pay those outstanding bills. Please contact me at (916) 921-6400 or on my toll-free line at (800) 404-5400. I would be honored to offer you free and friendly advice. You can also reach me through our contact form at AutoAccident.com. I belong to Million Dollar Forum as a member of California. The forum was established to recognize top trial lawyers from around the country who have garnered more than $1 million in either a settlement or verdict for a client. Since 1982, I’ve represented many Sacramento residents with their personal injury claims and work hard to obtain fair compensation for them. 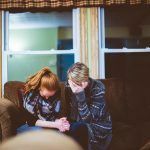 Some of the areas I practice in are wrongful death cases, many types of trauma such as brain injuries and all types of car accidents.